In our era of (what we consider to be) highly advanced forensics and criminal investigations, it’s sometimes difficult to remember that even in a relatively short time past, much of our modern forensics was still very much in its infancy. 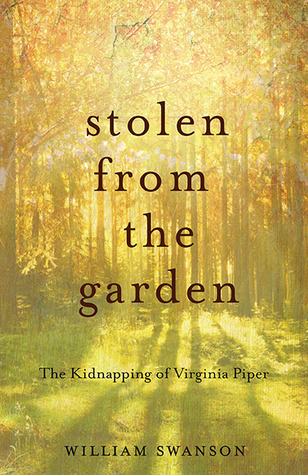 In Stolen From the Garden, author William Swanson reopens some old wounds by revisiting a kidnapping from 1972, a case in which modern forensics might very well have solved. In July of 1972, Virginia Piper, wife of a prominent Minnesota banker, was abducted from her suburban Minnesota home. Aside from the audacity of a broad-daylight kidnapping, this was also notable for a number of reasons including the fact that it was one of the first kidnappings to seek a ransom payday of $1 million. It was also a case that the FBI (with dubious authority over the case) claims to have solved, but which much evidence (albeit some of it circumstantial) supports otherwise. Swanson tries very hard to not comment personally on the case until near the end, when he admits his own opinions, based on his research. That research includes a great deal of information provided by one of the sons of Virginia Piper who had intended to write his own book, but for various reasons, including familial, chose not to do so. That information, including interviews with family members and others who were very close to the case, is invaluable. It is a little difficult to write a review of the book without giving away too much of the information presented. Although most of the information herein is public information, Swanson tells the story smoothly and almost as though it were a mystery novel. Among the most interesting facts of the case is that despite the fact that all the money ($20 bills) were logged and marked by the FBI, very little has turned up or accounted for since the ransom was paid. This is a most beguiling, bewildering case. Looking for a good book? Whether you’re interested in True Crime, mystery stories, Minnesota history, or just a well-told story, Stolen From the Garden satisfies.